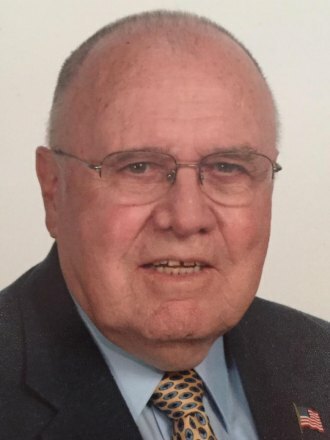 HUNTINGTON, W.Va. – Family and friends of Dr. Robert B. Hayes, former president of Marshall University who served from 1974 to 1983, have established a memorial scholarship in his name. The scholarship will benefit full-time, undergraduate students in the College of Education and Professional Development. The Hayes family formerly created the Ruth Harrison Hayes Memorial Scholarship in memory of their mother. This scholarship is now a $100,000 endowment for string students performing in the Marshall University Symphony Orchestra, with preference to music majors. His family said Hayes had an insatiable desire to learn and to share knowledge with others, and the advice he gave to his students was the same advice he gave to his sons and daughter. Those who wish to contribute to the Dr. Robert B. Hayes Memorial Scholarship may do so by mailing a check to the Marshall University Foundation Inc. with the scholarship name in the memo line, or by visiting https://donatenow.networkforgood.org/mufoundation. Photos: (1) A scholarship has been created by family and friends to honor Dr. Robert “Bob” B. Hayes, former president of Marshall University. The scholarship will benefit full-time, undergraduate students in the College of Education and Professional Development. (2) Hayes was president of Marshall from 1974 to 1983.